I recently returned from my seasonal buying trip to Paris. I hadn’t taken the Eurostar from St Pancras for many moons and it was a welcome change and an easy relaxing journey into the centre of Paris. After years and years of staying in the same familiar hotel I have found a new home in Paris just off the blvd San Michelle which I love. Sharyn, my sister who lives in Zurich and who meets me in Paris four times a year, and I had a lovely time and saw some fabulous stuff as usual. While I was buying the Comme I was lucky enough to see the show. Crazy beautiful artistic and people actually buying it for their stores! How lucky are they (and their customers)! 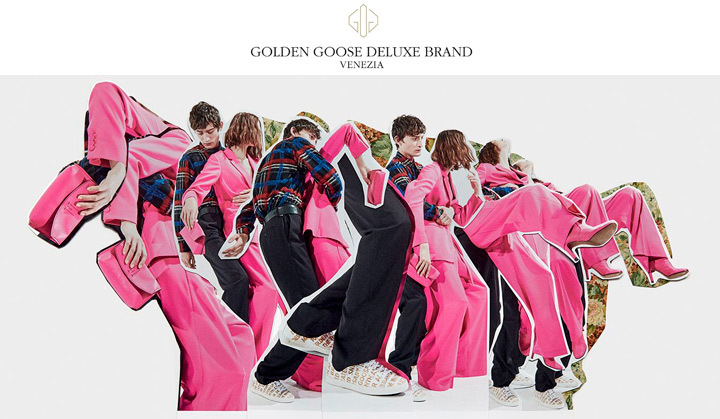 I remember my first buying appointment with Golden Goose – the venue was so cool – beautiful in an entirely unpretentious industrial way and the designers – two gorgeous Venetians – one a Jesus lookalike – the clothing and shoes completely f….d up befitting dreamers travelling the globe on Harley’s and psychedelic buses. Under the radar then but now has a cult following and calls received every day reserving sizes! New season arriving any day. Fashion as fashion. Clothing as art. Statements of both …… not instant nor copied. I’VE SEEN The Glass Castle which was a favourite book some years ago. Outstanding performances by Woody Harrelson Naomi Watts and Brie Larson. And I’M WATCHING The Deuce on cable – a gritty 1970’s New York tragedy with Maggie Gyllenhaal giving the performance of her life.